Capital Punishment vs Life Imprisonment (Michael’s Murder). This article examines capital punishment in murder cases, one case in particular. While many people support the death penalty and have good reasons to support such a controversial issue, I will offer deeply personal and compelling evidence to demonstrate why I do not support capital punishment - Patti McMann (Author). Image: Death penalty in the U.S.
On January 15, 1982, in his birthplace of Oklahoma City, OK, a 29-year-old man was gunned-down in the parking lot of a popular night club by his roommate, a person who he considered his close friend. The murder victim had a young son, siblings, and one surviving parent. A very talented man, he built and sold wood furniture and played the drums. He worked hard at everything he did, and he had many friends. His murderer shot him twice, once in the chest, and once in the abdomen, but did not stop with just killing him. He drove the victim's body 50 miles from the murder scene where he dumped it in a drainage ditch like a sack of garbage. A road crew found the body five days later. The man had been robbed and his clothing partially removed. On January 30, 1982, the Oklahoma City police department notified the victim's family of his death. The killer's trial began in April 1982, and after deliberating for 22 minutes, a seven-woman, five-man jury found 27 year-old Dennis Ray Benton* guilty of first-degree manslaughter and later sentenced him to 70 years in prison. Since 1976, judicial death has claimed the lives of 1,184 Americans with 20 of the executions carried out in 2011. As journalist William Bole questioned, in 1977 countries such as Western Europe and Cambodia stopped using capital punishment, so why does the United States still kill in order to demonstrate that killing is wrong? When other nations view a practice collectively, the United States takes a different position regardless of the consequences. In America, 34 states practice the “an-eye-for-an-eye, a-tooth-for-a-tooth” method of retribution against people who commit savage and barbaric crimes such as murder. Other than the satisfaction that each stakeholder in an execution feels when the killer realizes that his or her own death has arrived, how can we justify committing the same crime that the offender committed to bring justice and closure to victims’ friends and families? How can the murder of a second person correct the murder of the first person when not one, but two or more lives have been taken? The flaw in Bedau’s fantasy-world argument makes it difficult to decide if taking a murderer’s life would right the wrong, because if it would, then capital punishment would represent moral justice which we all know that the act of murder by itself cannot do. If Benton’s life ended and restoration of Michael’s life began, the expression “a life-for-a-life” would no longer be valid since Michael would no longer be a murder victim, and Benton would no longer be a murderer which would make the execution of Benton completely immoral. The reality of their existence inside prison walls differs substantially from what we, as non-prisoners, visualize. True life prisoners pay a steep price for their crime, and to support my statements, I will provide examples of why “lifers” pay a hefty price for choosing murder over living as a productive member of society. My illustration consists of seven side-by-side comparisons of their lives on the inside vs. our lives on the outside. Image: A group of people protesting against capital punishment. 1. Living space: We can choose our living space and decorate it as we see fit. A lifer’s living space typically consists of a 6′ x 10′ cell with a toilet, sink, and a bed. Decoration must conform to prison policies. 7. Conscience. We did not commit murder, so we do not have to live with the guilt. We do not have to live with the horrific fact that we took another person’s life. Some lifers do not have a conscience or a soul, but the ones who do must look at themselves in the mirror every day and live with what they did. Guilt can age a person physically and emotionally overnight, and many lifers suffer guilt related health problems and die a premature death. Even with all that I have demonstrated so far, some people will always support the death penalty, and will still feel that the “life-for-a-life” punishment is ethical, which is their right. In his 2005 interview with Sister Helen Prejean about how prosecutors often treat the family members of murder victims, associate editor of America magazine, George. M. Anderson presented Prejean’s story that prosecutors who have their sights set on judgeship frequently seek the death penalty to enhance their political careers. Supporters of the death penalty might think about how they would feel if one of their friends or relatives got convicted of murder and was executed, and then five years later the real killer got caught and confessed to the murder that the friend or relative did not commit but died for. 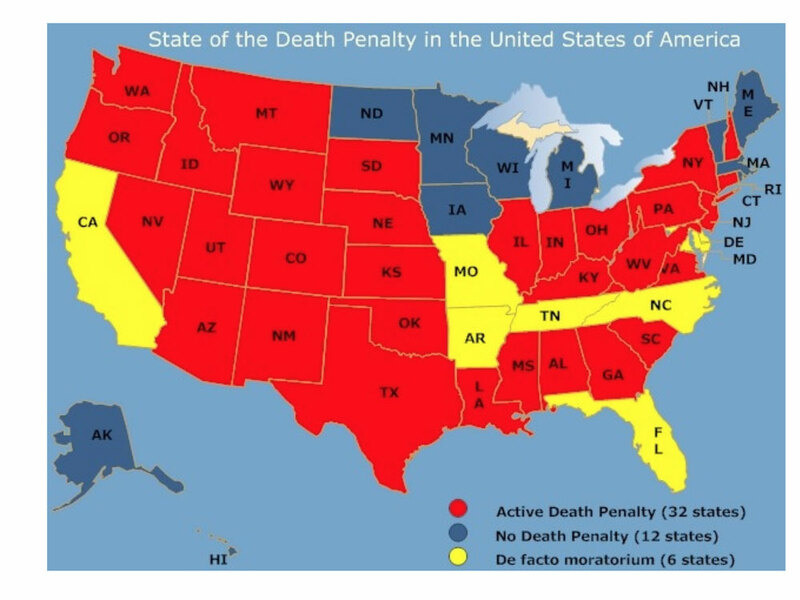 Writer Mark Dow, who has authored many death penalty articles and commentaries, made a strong case in 2005 against the death penalty when he pointed out that a court can undo a conviction but it cannot undo an execution. We must look deep inside and ask ourselves this question: If we were judges in a court of law, could we, without much regard to overall society, sentence another human being to die? I'm thankful to have time to write.